Tania is a sculptor and painter, living near Goodwood, West Sussex. Following an Arts degree from QMC London University she served a further three year apprenticeship as a draftsman in her father’s London studios. She specialises in portraiture, polo and racing subjects in charcoal and oils, is currently the model maker for Julip Originals, and will be undertaking a life size painting commission this year for a Suffolk based client. 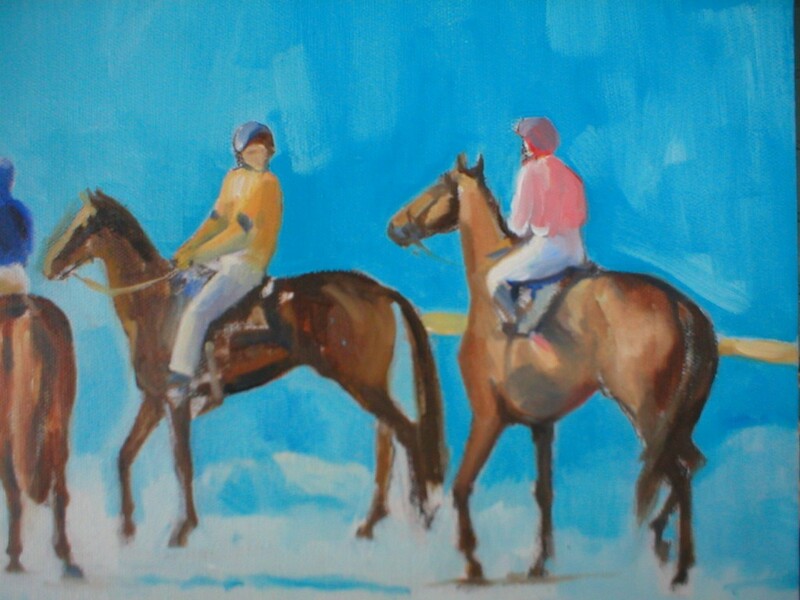 Tania has exhibited with the SEA at Christie’s, Sotheby’s and The Mall Galleries, also at The Air Gallery Dover Street, The National Racing Museum and National Stud at Newmarket, with pieces in private collections around the UK and Europe.